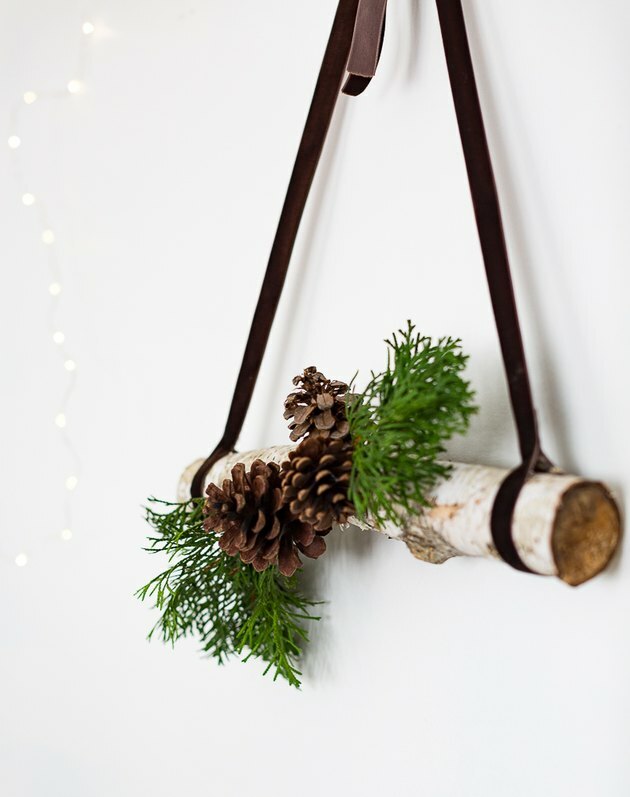 This simple and sweet birch branch and pine cone hanging is the perfect minimalist touch for the winter holiday season. 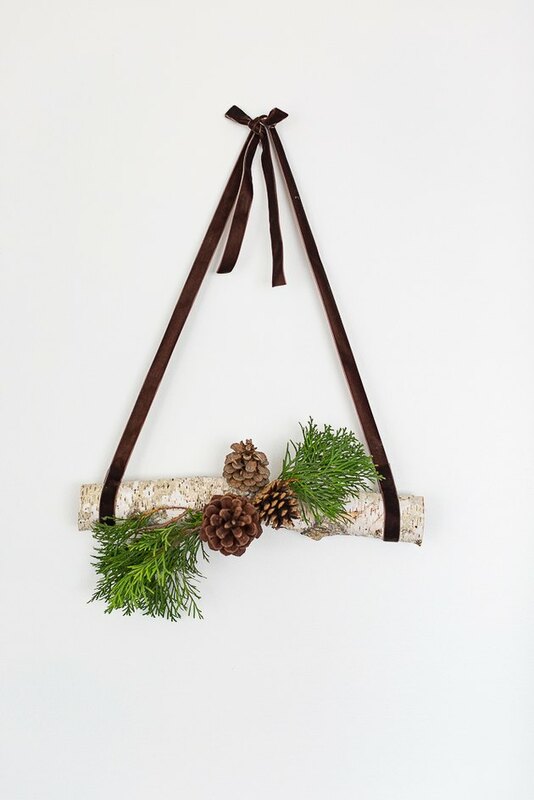 Hang it as an addition to a gallery wall, over the mantel, or on your front door. 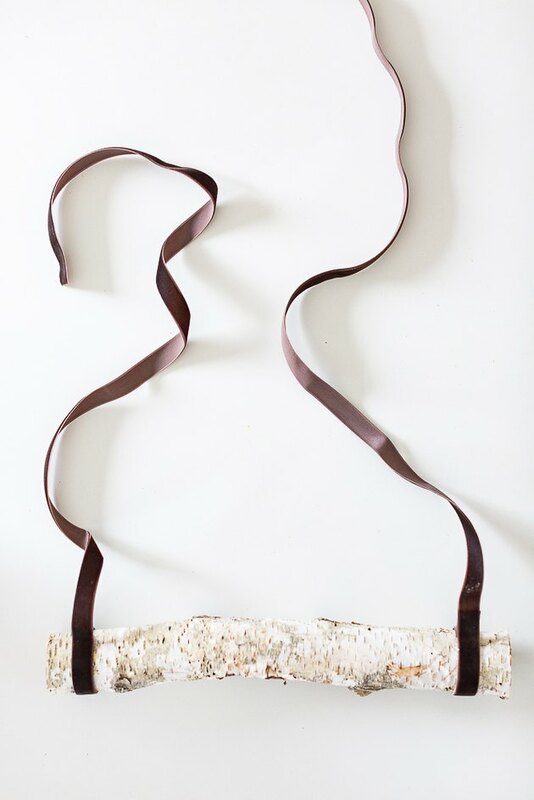 Cut two pieces of ribbon to your desired hanging length. 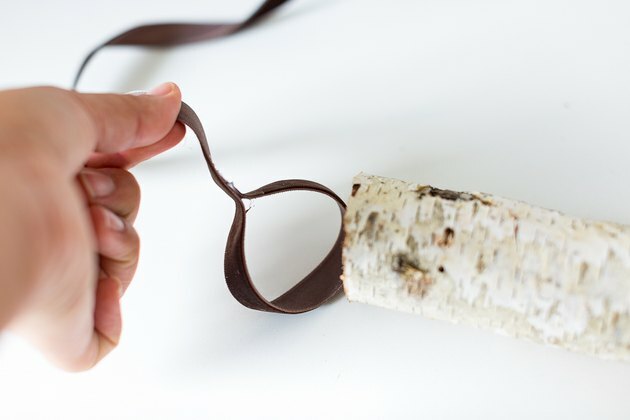 For this tutorial, we measured out two feet of ribbon for each piece. 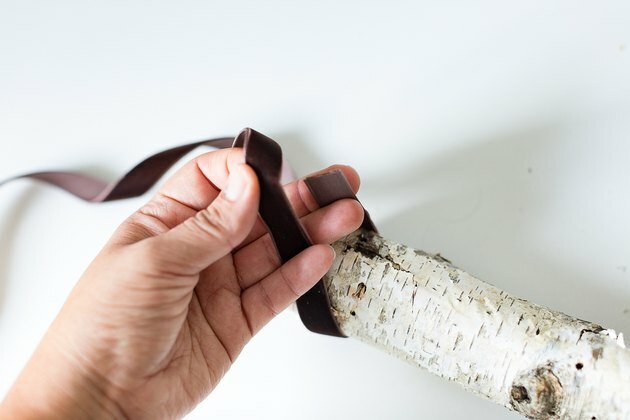 Take one end of the ribbon and wrap it around the branch. 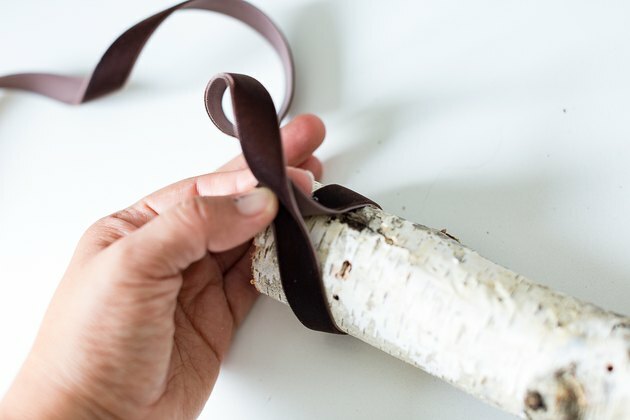 Using hot glue, glue the ribbon together to form a loop. Repeat on the other side of the branch. 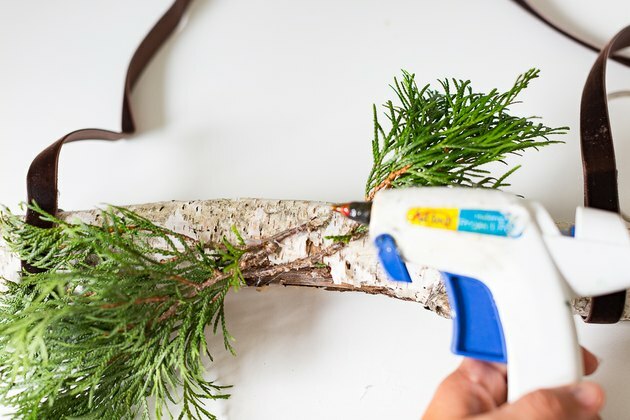 Next, use the hot glue to attach the faux or fresh greenery to the center of the branch, with the stems facing towards the middle and the leaves flaring out. Now attach the pine cones on top of the stems using the hot glue. Try to place them so that the stems are hidden. 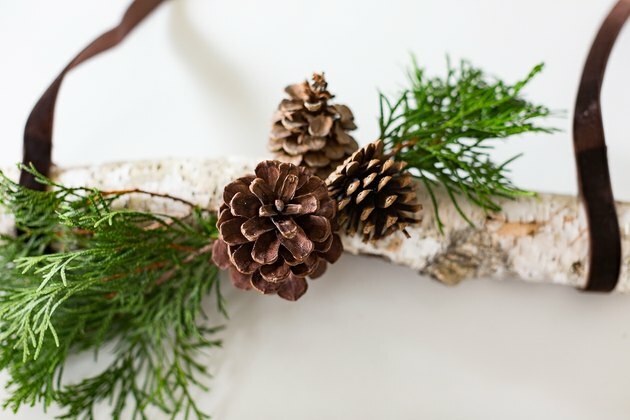 Use varying sizes of pine cones for a more balanced and interesting look. 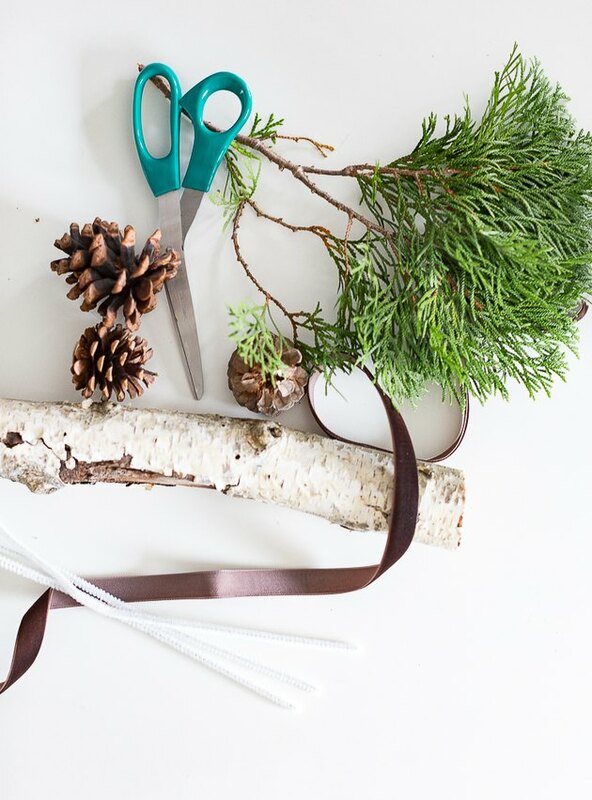 TIP: You can also wrap pipe cleaners around pine cones and secure to the branch. Tie the top of the two ribbons together and hang. So simple, so lovely!